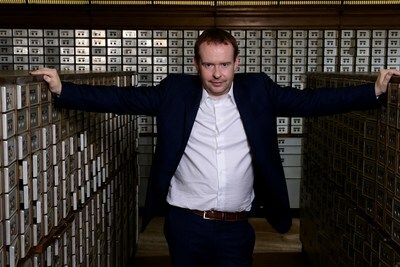 BIRMINGHAM, England, Jan. 30, 2019 /PRNewswire/ -- The UK's number one online bullion dealer, BullionByPost, has seen record sales as investors increasingly move to protect their wealth in the face of the continued political uncertainty surrounding Brexit. On Tuesday, Prime Minister, Theresa May won a mandate from MPs to re-negotiate her Brexit deal. However, she faces an uphill battle to win the concessions she needs from the European Union. It has already made it clear that it is not prepared to re-negotiate the contentious issue of the Irish backstop. The EU has admitted that it is nervous about a no deal scenario adding that this would be disastrous for both the single market and the UK economy. However, EU leaders have said they will always opt for a no deal Brexit rather than changing the agreement on the Irish backstop – saying that this would be 'opening up a gigantic back door to the single market'. Last night's votes only fuelled worries of a chaotic withdrawal from the trading bloc that would damage the UK economy. "Sales are up over 100% year on year. We have seen a certain increase in sales because of the uncertainty surrounding Brexit. "The gold price rocketed in the days after the Brexit vote was called off. It hit a one-year high at the start of the year at £1,028 per ounce as a Brexit no deal looked more likely. The price inched above £1,000 per ounce on Tuesday evening, as MPs rejected most amendments that aimed to keep Britain from leaving the European Union without a deal. With Brexit still to be resolved the gold price could surpass the all-time high of £1,178 per ounce set in September 2011." Despite the ongoing uncertainty surrounding the negotiations between the UK and EU, BullionByPost is continuing its expansion across Europe and is now trading in BullionByPost France, BullionByPost Ireland, Orissimo in Italy, Xrysosonline in Greece and Inversoro in Spain. The company trades 24/7 online and expects extremely high volumes in the week and months that come. "Our customers tend to turn to gold in times of uncertainty, and it is at times like this when we tend to have an increase in the number of orders. "Because of the continued uncertainty surrounding Brexit, sterling is likely to move significantly, and volatility up or down always drives sales. If sterling falls, people will be rushing to get some Brexit insurance by buying gold and if it gains people will be bargain hunting as last night's vote again failed to provide any certainty." In Dollar terms, according to BullionByPost, the likely direction for gold is up in 2019. Last year was a big one for the US Dollar thanks to a combination of interest rate rises and tax cuts for the wealthiest in America. The cuts provided some additional short-term investment stateside but as these cuts wear off in 2019, and as the Federal Reserve slows down its rate rises, then the US Dollar will begin to fall back from being as untouchable as it has been in recent months. Analysts are talking of a stealth rally for gold in 2019. 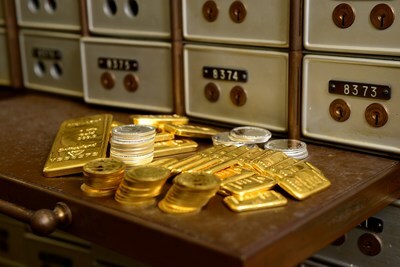 Their argument is that minor currencies experienced a similar sharp rise in gold price in the mid-1990s before the US Dollar caught up with a major bull run in the late 1990s. As you can see from the chart below though, the Sterling price of gold rose for a while but dropped in the late 90s – as did the price in Dollars. 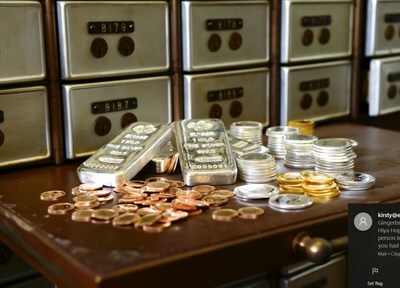 BullionByPost is an international bullion dealer trading online. The company was launched in 2009 in Birmingham's historic Jewellery Quarter. Last year the company turned over more than £125 million.